Taxis are a convenient way to get to your destination. To help with communication, Seoul Metropolitan Government operates foreigner-dedicated taxis and provides interpretation services. International Taxi services basically require a prior reservation via telephone (+82-2-1644-2255) and homepage. Immediate use of the taxi is available even without a prior reservation if there is a taxi that is standing by. 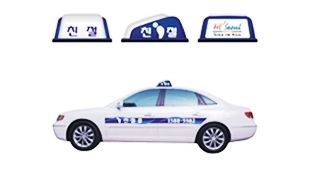 The hiring and educating of taxi drivers and call center operations are supervised by the Seoul Metropolitan Government. Taxi drivers have certifications in foreign language proficiency. The information desk and boarding area that are exclusively for International Taxi users are located at the Incheon International Airport and Gimpo International Airport. Payment is possible with credit cards or T-money. These taxis can accommodate up to five passengers. The “International Taxi” sign is on the roof of each taxi. Cabs with “Japanese” signs mean that the driver can speak Japanese. These taxis can accommodate up to 5 passengers. The color is black . The sides of the vehicle and the roof lamp will have the “International TAXI” sign. These taxi vans can accommodate up to nine passengers. The body of the vehicle is black and “International Taxi” signs are displayed on the sides. While you can differentiate between a privately and company owned taxi by their roof lamp, you can also easily spot company owned cabs by the company name and numbers on their side doors. 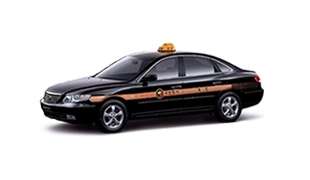 The basic fare for these taxis is 3,000won for the first 2 km with an increase of 100 won per 142m. These taxis are black with yellow roof lamp. Although considerably more comfortable, these luxury cabs also cost more. The basic fare is 5,000 won with an increase of 200 won per 3km. Riders have access to free interpretation services in Japanese, English, and Chinese via the use of a cell phone.